After seeing Molina at No3’s Label Night in Absalon (Vesterbro, Copenhagen) a couple of months ago, I was sold. Her edgy appearance, high-pitched, fairly-like voice and 80-ish sound mixed with synth pop tunes and on beat drum machine thuds made me go absolutely nuts (in a good way). 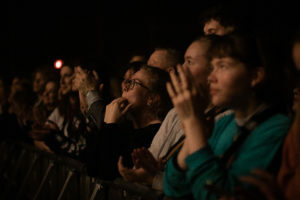 It has resulted in me also seeing her a short while later at Loppen (Christiania, Copenhagen) – to my great delight. 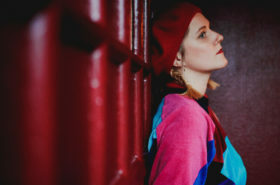 Molina – who released a debut EP “Corpus” in February 2017 – is signed with the Danish record label No3 who also has signed with bands like Noréll, CHINAH, Kill J and The Minds of 99. 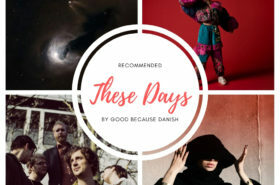 She seeks a great deal of inspiration from the bands like Depeche Mode and New Order, but I also got a sort of Kylie Minogue-ish vibe – which shall not be taken as an offense – this is only a plus! 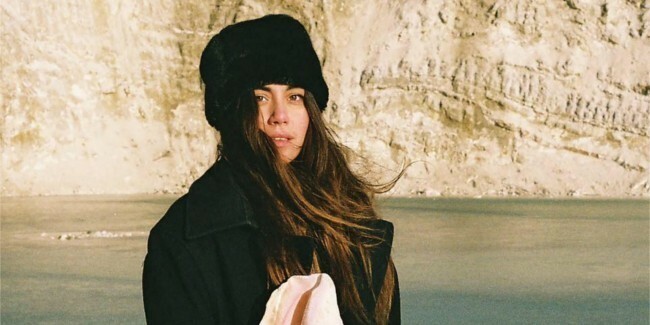 One of the things I love about listening to Molina is that her music is very tight and of such a fantastic, high quality – both recorded and live. Molina is one of those Danish artists who does everything themselves. She is the only one performing on stage during her shows, and even though her live shows are built upon post production, her stage appearance doesn’t get boring. Her energetic dancing and passionate hammering both on drum pads and synths make her a joy to watch. 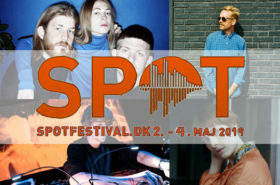 Molina will be performing at this year’s SPOT Festival in Aarhus – and trust me: If you don’t show up, you’ll be missing out! If you are not joining me and the rest of the GbD TEAM on SPOT Festival at the Molina concert, I think you should check Molina’s EP “Corpus” out anyway. I would recommend you to start out with listening to my favorite “Hey Girl”, which sends shivers down my spine with the “Thinking about your psycho side” in the chores and afterward you can listen to her most popular song at the moment, which is “Salvation”. Find “Corpus” EP on Spotify.